This book is brilliant! 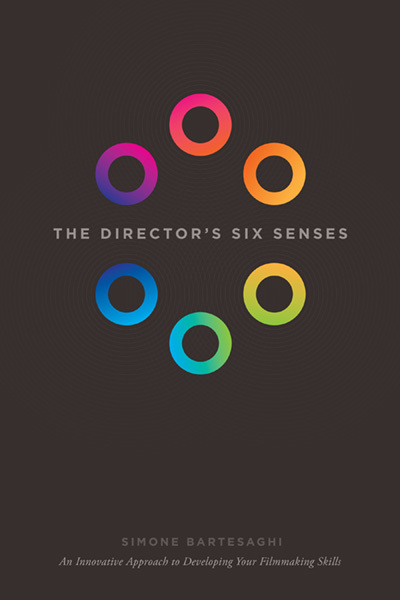 In The Director’s Six Senses, the author Simone Bartesaghi provides insights about how to develop as a film director. The structure of the book follows the five classical senses, Sight, Touch, Hearing, Smell, and Taste, with the additional sixth sense, Vision. In each chapter, the author develops a particular aspect of the directing craft in term of the aesthetics of a film and the philosophical underlying questions to this aesthetics. But he does it in a very practical way, giving us the tools to actually work on and develop these particular aspects of the craft. For instance, for Sight which is connected to visual storytelling, the author recommends to collect pictures that tell stories and affect us emotionally, and to keep these pictures in a place where we can often refer to them. The assignment has no end and can be pursued all over a directing career. This is a very simple tool, but that tool will definitely help any director to develop his visual storytelling abilities in a very concrete way. This book contains numerous and easy-to-follow pieces of advice and practical tasks in order to develop the mastering of the directing craft. Really brilliant!